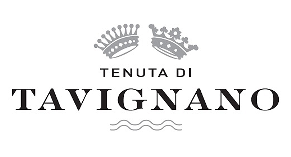 The Tenuta Tavignano is one of the leading wine producers in the Marche region, a rather unknown wine growing area, which is adjacent to the Adriatic coast, south to the Emilia Romagna, west are Tuscany and Umbria, the neighboring areas. Stefano Aymerich di Laconi bought the estate in the 1970s and decided with his wife in the 1990s to concentrate on viticulture, with focus on the traditional grape varieties, which was very forward-looking and against all the trends at the time, since the Italian wineries were planting international varieties these days. Today, Stefanos niece Ondine de la Feld manages the winery and, together with her young and dynamic team, leads it to the top producers of the region. The most important wines of the estate are the white Verdicchio the Castelli di Jesi and the red Rosso Piceno, both DOC wines. Both have already achieved several times "due bicchieri" in the wine guide Gambero Rosso, a real benchmark for wines under 10 € per bottle.